Join us for “Jazz Talk” at 7pm with special guest, Steve Kraske! 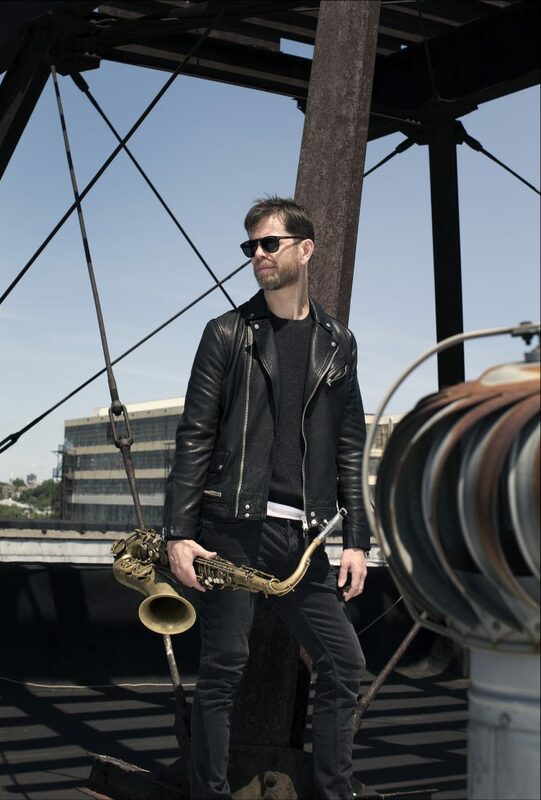 Donny McCaslin and his group surged onto the mainstream’s radar in early 2016 with the surprise release of Blackstar—David Bowie’s brilliant, shape-shifting, and sonically mercurial final album, released just two days before his death. After showing up unannounced to hear McCaslin and his quartet play a set, Bowie handpicked them as his backing band for the Blackstar sessions. By turns seductive, somber, and slinky, the Quartet’s music evolves into as deep a symbol of raucous, ruminative transfiguration on Blackstar as Bowie’s evocative lyrics. But the jazz world had long known and celebrated the work of this three-time Grammy® nominee, given that McCaslin had staked his claim as a unique fixture of New York’s jazz scene for over 20 years. After coming of age in his vibraphonist father’s ensemble at age 12, McCaslin went on to tour with Gary Burton and jazz-fusion outfit Steps Ahead. He has also played beside such diverse, genre-straddling artists as Danilo Pérez, John Medeski, Gil Evans, Maria Schneider, and Dave Douglas, while Purdue Jazz Festival audiences will know him from his 2014 appearance as a guest soloist with the Purdue Jazz Band. In 1998, McCaslin released Exile and Discovery, his first of 11 albums as a bandleader and hasn’t stopped since. 2015’s Fast Future, features McCaslin’s vision of today’s electro-acoustic jazz sound—a combustible live-wire collection of propulsive rhythms, polyphonic patterns, electronic flourishes, and elasticity into sounds of reggae and even EDM all driven forward by electronic keyboards, electric bass, and drums. Beyond Now, a highly anticipated album dedicated to Bowie, was released on October 14, 2016. Recorded nearly three months after Bowie’s passing, the project is deeply influenced by their extraordinary experience collaborating with one of the greatest artists of all-time on his final album. Commerce Bank Trustee for their generous support.